Kumari Kandam is the legendary sunken continent, according to many of the ancient extant Tamil literatures and some of the Sanskrit literatures. 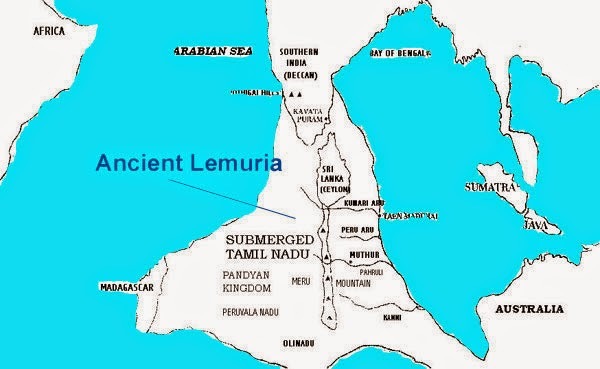 Almost 100 years back tamil nationalists came to identify and associate Kumari Kandam with Lemuria, a hypothetical “lost continent” posited in the 19th century to account for discontinuities in biogeography. Located in the Indian and Pacific Oceans but now sunken, this sunked continent is believed to be the connections between Africa to South India, through Madagascar. 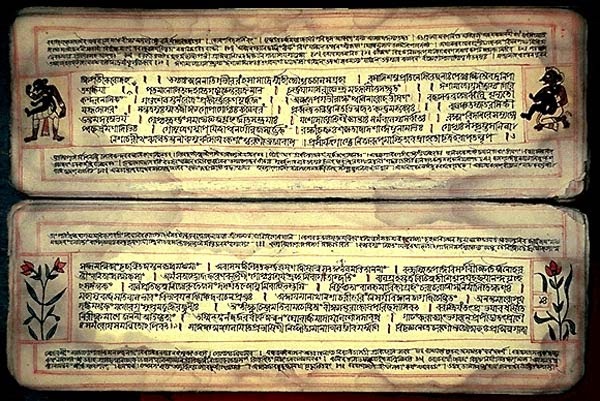 Many of the earliest extant Tamil literary works and their commentaries, mentions a Tamil continent called Kumari Kandam, which was ruled by Pandiyan Kings for 10,000 years, before getting submerged in the Indian Ocean, south of present-day Kanyakumari district at the southern tip of India. According to Silappadhikaram, one of the Five Great Epics of Tamil Literature written in 2nd century CE, states that the cruel sea took the Pandiyan’s land, part of which was present between the rivers Pahruli and the mountainous banks of the Kumari. These rivers are said to have flowed in a now-submerged land. Adiyarkkunallar, a 12th-century CE commentator on the epic, explains this reference by saying that there was once a land to the south of the present-day Kanyakumari, which stretched for 700 kāvatam from the Pahruli river in the north to the Kumari river in the south. The modern equivalent of the measurement kāvatam, which is also known as kātam in Tamil, is a distance of 6.25 miles (10.06 km). Kanakkathikaram, a 15th century Tamil Mathematical literary work which is in the form of poems, defines the length of 1 kāvatam(1 kātam) as 24,000 muzham (33,000 feet, 6¼ miles) and it also defines the time taken to cover it which is the distance that can be covered by normal walk in 7½ Nāzhigai or 1 Sāmam (equivalent to 3 hours). So, the distance of 700 kāvatam is equivalent to 4,375 miles (7,041 km) in modern day measurements. This land was divided into 49 territories, which he names as Seven coconut territories (elutenga natu), Seven Madurai territories (elumaturai natu), Seven old sandy territories (elumunpalai natu), Seven new sandy territories (elupinpalai natu), Seven mountain territories (elukunra natu), Seven eastern coastal territories (elukunakarai natu) and Seven dwarf-palm territories (elukurumpanai natu). All these lands, he says, together with the many-mountained land that began with KumariKollam, with forests and habitations, were submerged by the sea. Two of these territories were supposedly parts of present-day Kollam and Kanyakumari districts. The 7th century CE commentary written by Nakkīranār for the Tamil literary work Iraiyanar Akapporul, gives the list of Pandiyan kings who ruled the Kumari Kandam. It also gives information about the three Tamil Sangams (assemblies of Tamil scholars and poets who do research on Tamil language and also creates literary works) which spans about 10,000 years. According to th Kumari Kandam tradition, over a period of about just 11,000 years, the Pandyans, a historical dynasty of Tamil kings, formed three Tamil Sangams, in order to foster among their subjects the love of knowledge, literature and poetry. These Sangams were the fountain head of Tamil culture and their principal concern was the perfection of the Tamil language and literature. The first two Sangams were not located in what is now South India but in antediluvian Tamil land to the south which in ancient times bore the name of Kumari Kandam, literally the Land of the Virgin or Virgin Continent. The First Sangam (Mutaṟcaṅkam) is described as having been held at the Pandiyan King’s capital city, Madurai (Kadal Konda Then Madurai – which means Southern Madurai which was submerged in the sea. The old Madurai was called as Southern Madurai to differentiate it with the capital city of Madurai of third Sangam), which lasted a total of 4440 years, and had 549 members, which supposedly included some gods of the Hindu pantheon such as Siva, Kubera and Murugan. A total of 4449 poets are described as having composed songs for this Sangam. There were 89 Pandiyan kings starting from Kaysina valudi to Kadungon were decedents and rulers of that period. If credence is given to this commentary, then the beginning of first Sangam should be placed somewhere in 9000 B.C. Most of the lands of Kumari Kandam were submerged in the sea during first devouring of the land by the sea. Then, the Pandiyan King and the remaining people migrated to the remaining land of Kumari Kandam and the king moved his capital to Kapatapuram. At the same time, the present location of Tamil Nadu was ruled by Chera, Chola, and 46 other small kingdoms. The Second Sangam (Irandaam Caṅkam, Iṭaicaṅkam) was convened in Kapatapuram, the then capital city of Pandiyan King. This Sangam lasted for 3700 years and had 59 members, with 3700 poets participating. There were 59 Pandiyan kings starting from Vendercceliyan to Mudattirumaran were decedents and rulers of that period. This city was also submerged in sea. and corroborates the existence of a city named kavatapuram. There is a reference to a south Indian place called kavata by sugriva in a verse which runs something like ‘having reached Kavata suitable for Pandiya‘. The place kavata is also mentioned by Kautalya (also known as Acharya Chanakya) in Arthasastra. Having lost the complete Kumari Kandam, the Pandiyan King conquered the part of lands belonging to the Chola and Chera kings (Silapathikaram, Maturaikkandam, verses 17-22) and made Korkai, a seaport on the southernmost tip of the Indian Peninsula, as his capital and in later times moved his capital to the current city of Madurai. The Third Sangam (Moondraam Caṅkam, Kaṭaicaṅkam) was purportedly located in the current city of Madurai, the then capital city of Pandiyan King, and lasted for 1850 years. There were 49 Pandiyan kings starting from Mudattirumaran (who came away from Kabadapuram to present Madurai) to Ukkirapperu valudi were decedents and rulers of that period. The academy had 49 members, and 449 poets are described as having participated in the Sangam. In some of the ancient Chinese chronicles, there are references to Pahruli river, Peru river and Meru Mountain (with 49 peaks) from where the Kumari River, Peru river and Pahruli river were originated (according to Tamil literature). It is said that Chinese laborers were employed by the Pandiyan King and when they went down the mines they appeared like a huge army of small ants. Therefore, they were called pon thondi erumbukal (Gold mining ants). This is also confirmed by ancient Chinese chronicles. Megasthenes (ca. 350 – 290 BCE), a Greek ethnographer and explorer in the Hellenistic period, authored the work Indika, the account of his travels in India. In this work, he says that Taprobane (old name of Sri Lanka) was separated from the mainland (Indian Peninsula) by a river, which means that during the period of Megasthenes, Sri Lanka could have been connected to Indian Peninsula by a small landmass in between them and was divided by Thamirabarani River (Porunai River). The current Thamirabarani River in Tamil Nadu flows into the sea suggests that the Thamirabarani River would have reached Sri Lanka through a now-submerged landmass existed between Indian Peninsula and Sri Lanka during the period of Megasthenes. The marine archeological findings at Poompuhar (Tamil Nadu) by marine archeological research conducted by the National Institute of Marine Archeology (Goa) reveals that much of the town of Poompugar (Tamil Nadu) was washed away by progressive erosion and a Tsunami around 300 BC. 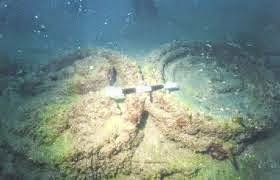 Ancient Pottery dating back to the 4th century BC have been discovered off shore by marine archeologists east of this town. The timeline of this Tsunami also coincides with the timeline (after the period of Megasthenes visit to India) of the submergence of landmass which was claimed to be existed between Indian Peninsula and Sri Lanka according to Megasthenes accounts. The geological survey reveals that most of the places in the land under the sea, where Kumari Kandam is claimed to be existed, has the maximum depth of the sea of 200 meters. In some of the places, the maximum depth of the sea is 2000 meters. Since, these areas has low sea depth, there are more possibilities to exists a now-submerged land in which people lived. Types of plants, trees and animals present in Africa and Madagascar are identical with that of in India. So, there might be a connecting land which exists in between India and Madagascar.